There are many Southern Colorado Museums for all you history lovers to enjoy. Even if you aren’t a huge history lover there are artifacts that will be sure to interest you. Almost every town in Southern Colorado has its own museum. Why so many Southern Colorado Museums you might ask? It is because most families have lived here several generations and are very proud of their heritage. There are also a lot of Native American artifacts that have been found in the San Luis Valley, and there are many volunteers in the area that feel preserving history is very beneficial and dedicate hours to this worthy cause. All of these combined allows for most towns to have a unique museum with plenty of artifacts to showcase. If you want to learn more about the history of an area, then museums are the place to go. As we continue to visit the different Southern Colorado Museums you will gain a better understanding of what each museum has to offer and the hours of operation. To make it easier for you we have divided this page into the various towns. That way when you visit a specific town, you will be able to see what Southern Colorado Museum is located there. Luther E. Bean Museum —Located in Richardson Hall on the Adams State College campus it features a collection of Native American pottery, bronze sculptures, and memorabilia of the Adams State College founder, William Adams. This museum is located at 208 Edgemont Blvd Alamosa, CO 81102. San Luis Valley Museum —This museum showcases a replica of a one room school house, costumes worn in the 1860s by frontiersmen, railroad memorabilia, and cultural artifacts of early settlers. This museum’s address is 401 Hunt Avenue, Alamosa, CO 81101. Cano's Castle —This is not a museum and you are not allowed inside, but it is worth driving past as the house is glittered with aluminum cans, wire, hubcaps, grills, screen doors, and window encasements. Creede Museum —This museum is housed in the old Denver and Rio Grande Railroad Depot. It showcases many black and white pictures of the early mines and miners. There is also a man powered fire engine that came to Creede in 1893. Located on Main Street just a few blocks south of the Creede Repertory Theatre it is a great way to spend a few hours. 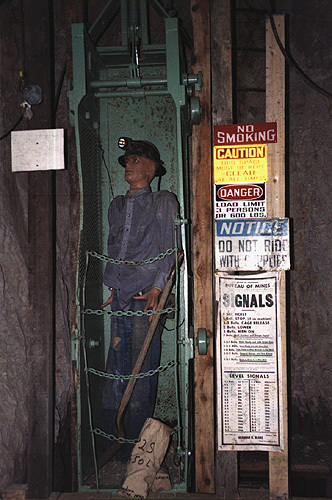 Underground Mining Museum —Carved out of the side of the mountain, the entire museum is underground and it provides a unique look at the old equipment that was used in silver mining as well as the actual feel of mining underground. It is located at 503 Forest Svc Rd #9, in Creede, CO.
Rio Grande County Museum —Showcasing many historical displays featuring Native American rock art, Hispanic settlers, fur trappers, and settlers way of life this museum offers a glimpse into the historic culture of the area. This museum is located at 580 Oak Street, Del Norte, CO 81132. 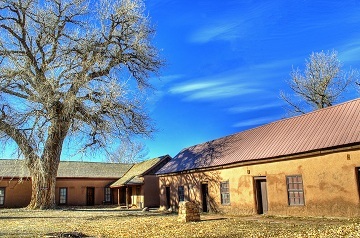 Fort Garland Museum —Established in 1858, Fort Garland’s main purpose was to protect settlers from Native American attacks. It is considered to be the most important museum in the San Luis Valley. 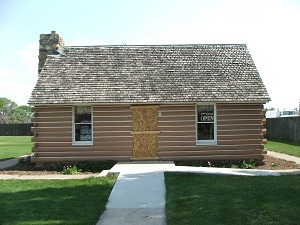 The Fort Garland Museum is located at 29447 Highway 159, Fort Garland, CO 81133. Francisco Fort Museum —While La Veta is not technically part of the San Luis Valley it is not far away either and is home to a great museum. The Francisco Fort was originally built in 1862 and today holds many artifacts. Some of the exhibits include Native American displays, Hispanic legacy, settlement, ranching, and coal mining information. It is located at 306 South Main, La Veta, CO 81055. Jack Dempsey Museum —The great heavyweight champion of the world, Jack Dempsey, was born in Manassa, Colorado. Come visit the actual house he grew up in, located at 412 Main Street, Manassa, CO 81141. Transportation of the West Museum —Located in the historic Fassett Building in downtown Monte Vista, this museum shows the different modes of transportation that was used to reach the mining camps from the valley floor. The Monte Vista Historical Society also has over 1,500 historical pictures of the area. The address is 916 First Avenue Monte Vista, CO 81144. Veteran History Center Museum —This museum features the history of Colorado and American Veterans. This museum is located at 3749 Sherman Avenue, Homelake, CO 81135. Hazard House Museum—A former home, this museum shows the affluent lifestyle and furnishings of the wealthier families living in the area during the 1920s and 1930s. A great place to see fine pieces of furniture, oriental rugs, and a Christmas tree decorated with original ornaments. The address is 807 Pitkin Avenue Saguache, CO 81149. Saguache County Museum —This museum houses belongings from the first settlers to the area as well as from the Native Americans that lived here before them. The 1908 jail is still intact and makes you want to steer clear of jails! This museum is located at US Highway 285, Saguache, CO 81149. The San Luis Museum and Cultural Center—Colorado’s oldest town offers a look at a unique history as it has Colorado’s oldest water rights as well as Station of the Cross Shrine. This area was also once owned by Spain. The museum features murals and art work from many local residents. The address is 401 Church Place, San Luis, CO 81152. 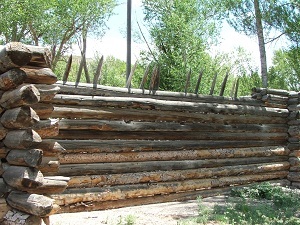 Pike's Stockade —This is a reconstructed fort of Zebulon Pike's when he was exploring the boundaries of the Louisiana Purchase. Sanford Museum -There is a lot of history in this museum as well as a wonderful collection of dolls. The Museum is located on Main Street in Sanford, Colorado. While only one of the three forts is in the San Luis Valley it makes for a great trip and a chance to see more of Colorado. Take a step back in time and explore this museum that is completely underground. This museum is a must see during your Alamosa visit. 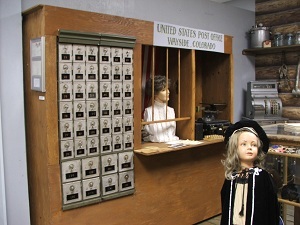 Scene from a general store with a post office that has been reconstructed at the museum.